What inspired you to start Stop-motion Animation? I came to animation through my illustration degree; we had a puppet making project in our 1st year that ignited my interest in stop motion and puppet making. The character I made was a Frankenstein’s monster-style slave, doomed to an eternity of stirring a vat of fudge! It was a great project. I had always been fascinated by the unique charm that comes from the real light and textures in stop motion, growing up on all the programmes made by Small Films. But through university and since graduating, it has been a gradual realisation that I could be someone who makes films this way too. Tell us about your work and what projects have been critical to your career. I experimented with felting and building a more realistic world in my degree film ‘Courage to make a Fool’, but since graduating I have directed three music videos where I have used my love of texture and character animation to create more of a personal style. My last project, ‘Dolly Said No To Elvis’, was a chance to be more ambitious with the story I was telling, and to explore my style in the textured universe I wanted to create. ‘Dolly’ was the first time I consciously promoted a film too, which made it feel more like a career, especially when I was able to get some exposure from the Vimeo staff pick. I had a place on a stop motion workshop in Budapest last autumn, which boosted my confidence in my ambition to be a filmmaker. I met a student, Abel Carbajal (from ESCAC), through this workshop, which led to a collaboration between us on his graduation stop motion film. I have worked solo on all of my professional projects so far, so the chance to work as partners, developing the character together and then building the puppets, was really valuable for me. Tell us a little bit more about your last project, ‘Dolly Said No To Elvis’ – how did the opportunity come along and the journey in making the music video? Joseph Wallace had been approached by Mark Nevin about making a video for the track, but Joseph was focusing on his other projects at the time so very kindly offered the chance to pitch for the video on to me. I’ve been so fortunate to have had these opportunities passed on to me by more experienced filmmakers; I hope one day I’ll get the chance do the same – animation feels like a very supportive community in this respect. When I listened to Mark’s song, I felt how the power balance shifted between the two characters at points through the narrative, and saw an opportunity to heighten the drama of the true story by exaggerating the changes in size of the two adversaries. This was only my second professional commission, and this commission had a very tight budget, so I wasn’t able to rent a studio, which meant I turned my grandma’s dining room into a studio over Christmas! It was also a very tight deadline, but I had learnt so much through the workshop that I was bursting to try out in front of the camera. Working on my own, that intensely and over Christmas got quite tricky, and it was a challenge to keep looking after my mental health through the project. But I am very proud of both myself and Dolly for making it happen! Did you have any mentors or support in your career that help you get forward? 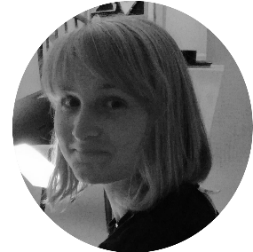 I have so many people to thank for my fortune so far; Virpi Kettu, an animator based in Skipton, gave me my first opportunity to pitch for a music video, when it was not right for her production company. The incredible Mary Murphy at UWE, who so generously gave me her time when I needed equipment advice for my first job. Joseph Wallace, who I admired greatly already, has been an amazing support in teaching me the self-promotion skills filmmakers need, that you can’t really learn in university. As I am still very new to the industry, I have not experienced what it is like to work as a woman in a large studio yet. I would hope that the issues many office environments have in this area would not be so prevalent in a creative field like animation. But I think the internal feelings that come from growing up as a female do have an impact on how challenging some aspects of a freelance career can be. Self-esteem and confidence in your abilities is, I think, quite a rare thing in many creative females, and I found the process of self-promotion with my film very daunting, so I needed a push in this direction. However, I think my sensitivity has been an asset too. Feeling strong emotions and connecting to stories very deeply is integral to this kind of career. I have only been in the ‘real world’ for two years, so I have not had much experience of the wider picture. But I do know that in my degree the class was about 90% female, whereas the number of names that ‘make it’ are mostly male. I know this happens in many industries; something happens in the hard process of climbing, that means that female makers either don’t pursue it or do not get the same recognition as their male peers. 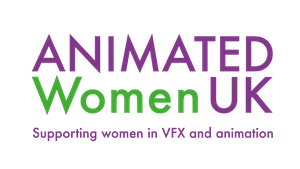 My strongest wish is for there to be more opportunity for people from every kind of background to have the chance to tell their story in the animation industry. It is vital that there is a broader mix of voices in the position to share their experience.